Subject: Re: lista de precios! This morning, VirusTotal reports that the pdf file is clean (0/43)… But that doesn’t mean anything, does it. First, I ran pdfid.py and pdf-parser.py against the pdf file. This most likely means that it will decode/unpack first (and recreate the real payload at runtime). recv: s = "0x00000720", buf = "0x0146feae", bufLen = "0x00000001", flags = "0x00000000"
recv: s = "0x000002d8", buf = "0x0146feae", bufLen = "0x00000001", flags = "0x00000000"
recv: s = "0x00000724", buf = "0x0146feae", bufLen = "0x00000001", flags = "0x00000000"
When sending data to the local port, the connection was interrupted right away. When the flashplayer payload ends, it attempts to cleans up by creating & executing a batchfile, which removes the flashplayer.exe executable and the batch file itself. So at this point, the machine is infected, and a file is dropped on the box (random name, stored in C:\Documents and Settings\\Application Data). We have noticed that the infected explorer.exe process touches the executable on a regular basis. We are still documenting why it does that, and what it does exactly. Next to the .exe file, a new folder (random filename) is created under "Application Data" as well, and a file .iqm is created. 0000 52 54 00 12 35 02 08 00 27 49 83 43 08 00 45 00 RT..5...'I.C..E.
0020 de 4a 04 d5 00 50 f7 b3 b4 c9 07 65 8e 02 50 18 .J...P.....e..P.
Apparently, voel.exe connects to a C&C server, attempts to downloads .bin files. It first tries to resolve google.com / fryloop.net and then initiates the outbound connections. On some systems it connected right away, on other systems, we did not see outbound connections, so perhaps it’s using a random delay before connecting. We also discovered that, if you remove voel.exe from your system & reboot, the system does not "phone home" anymore. Inform users to never open attachments or click links from emails they didn’t expect (even if they know the sender) and simply ask them to open a file or go to a url. In the event that you got infected after all, and your Antivirus didn’t catch the infection, then you can use our little script to clean up an infected machine. The script will attempt to detect the infection and will prompt you to remove files from the filesystem an entries from the registry. After the first run, you should reboot the machine, and then run the script again immediately after it has rebooted. This reboot is needed because the infected explorer.exe process will attempt to keep the entry in the registry. So at the first run, the infected files will be deleted. This will make sure the machine does not get re-infected after the reboot. During the second run, the registry keys are deleted as well. Note that the utility will only remove the infection from the currently logged on user profile. After all, the infection is user bound, not machine bound. 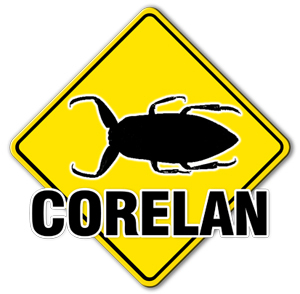 the other Corelan Team members, for being such a great bunch of guys to work with ! Brilliant analysis. Keep this stuff up I love it. Awesome. When I grow up, I want to be like you guys! Hey Peter, just wanted to let you know this was just featured on the CodeProject newsletter! oh cool – I’m honored !